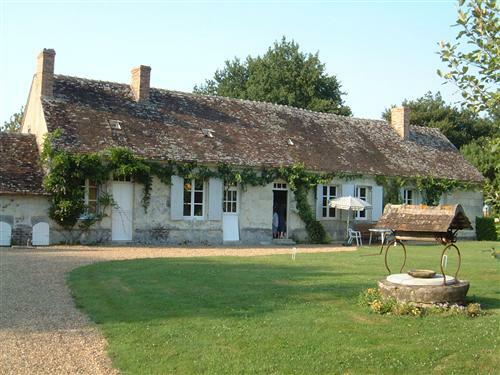 La Chapelle is a charming stone farmhouse set in 4.5 acres of private garden and orchards in an unspoilt part of the Touraine. The spacious living room has a very high ceiling with exposed oak beams, a magnificent 9ft oak table for meals and games, new sofas and armchairs and a large fireplace for use in the winter months. With bedrooms at both ends it can suit two families. Additionally, the converted barn sleeps 4 and can be rented on it's own out of season or as an addition to the main house for larger parties. We haven’t rented such a large property before or with a pool and we loved it.